The Keweenaw Research Center is well known for its NVH work. Projects involving anything from dishwashers and snowmobiles to large tracked vehicles and satellite dishes have been part of the long history of NVH studies. KRC has extensive digital analysis capability for investigating NVH and numerous test stands and chambers for accommodating NVH testing. 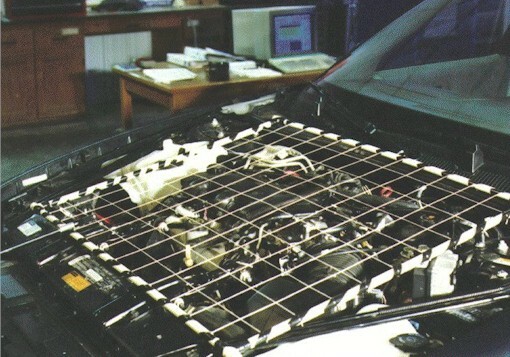 Combined with other assets of KRC such as computer based modeling and analysis, vehicle testing and evaluation and the University, investigation and solution of NVH related issues is integrated, highly efficient and effective. KRC maintains more than five hundred acres of proving grounds, including 40 miles of test track. Ride and handling loops, a circular track, an ice rink, a snow-packed area, and a rugged, off-road obstacle course--all provide the backdrop of your test and development work. We can design a test course to meet your needs or fit your application. Test capabilities include operating deflection shapes, rotating machinery analysis, modal analysis, near-field acoustic holography, acoustic intensity, sound pressure, and sound quality, to name just a few. 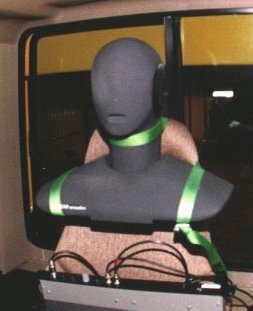 We can collect and analyze acoustic and vibration data on the road. Our elastomer test capabilities include a two-axis elastomer test system that can provide pre-loads, side loads, and temperature to fully document the stiffness and damping characteristics of your elastomer components. Our test capabilities fully complement our computer modeling expertise. By combining test and analysis, we can fully understand your system. Analytical capabilities include computer-aided design, finite element modeling and analysis, and dynamic system modeling. Examples of our NVH projects include documenting the vibration characteristics of the U.S. Army's M1A2 Abrams Tank, quieting the cab of off-highway equipment, eliminating vibration in wood production machinery, and redesigning snowmobile suspensions for a smoother ride. Much of our military experience can be adapted to solve problems in private industry.